Why Do Some Worker Co-ops Succeed While Others Fail? In our professional and community work, each of us have focused for some time on issues of social and economic equity, to help build a society free of poverty and racism. This paper marks a continuation of a collaboration which began several years ago when we set up a model micro-enterprise development project in Bloomsburg. We share a belief that all people deserve the right to economic security and to fulfillment and dignity in their work. A major path to this goal is the democratization of the economy through the spread of worker ownership and control. We see cooperative systems as a viable alternative to both corporate capitalism and command socialism. This paper was written to help new co-ops learn from the experience of some of the path-breaking efforts to implement the cooperative ideal. 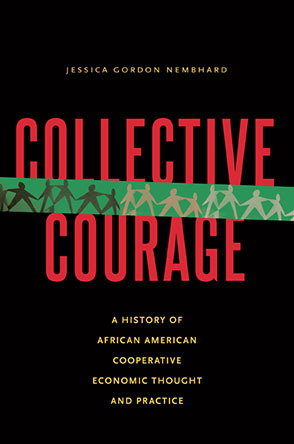 Below we discuss some conditions conducive to the success or failure of worker co-ops, derived from an examination of several case studies of worker cooperatives, including the Mondragon network, the U.S. plywood co-ops, the Jamaican sugar worker co-ops, and the Philadelphia area O&O markets. [*] Paper presented at the conference of the International Institute for Self Management, Hondarribia, Spain, September 1995. This paper is about worker cooperatives -- why some have succeeded while others failed. Our analysis proceeds from case studies of worker co-ops in several countries. In our view, economic systems based on democratically controlled worker cooperatives provide a viable alternative to both corporate capitalism and state socialism. We are aware of the many deficiencies of the now defunct command socialist economies and the authoritarian political systems with which they were associated. In fact, the internal contradictions within those systems contributed to their demise. It is questionable, however, whether capitalism is any better. In some ways it may be worse, especially in its treatment of the poor and dispossessed. Though some of the more brutal aspects of capitalism have been ameliorated by social democratic welfare policies, especially in Western Europe, capitalist systems have their own internal contradictions. One major problem of advanced capitalism is that corporate efforts to cut costs usually involve replacing human labor with machines. Consequently, there are not enough good jobs to go around, as displaced workers join the ranks of the unemployed; at the same time there is a tendency toward overproduction, exacerbated by the constant progress of automation. To optimize economic and human development, balancing the needs for production, respect for the environment, and provision of fulfilling work and job stability, a third alternative is preferable; the cooperative commonwealth. Such a system would be based on the proliferation of worker cooperatives and democratically controlled enterprises in a market economy. Though such a cooperative society doesn't exist anywhere today, we can point to partial examples such as Co-op Atlantic in Canada, the cooperative networks in northern Italy, and the successful cooperatives in and around Mondragon in the Basque country of Spain. All economic systems have some mix of private, public and cooperative sectors as well as a non-market subsistence sector (see figure 1).. The cooperative sector in the U.S. is still tiny. The Directory of Workers' Enterprises in North America (1991) lists 304 firms owned by a total of some 100,000 worker members. In each type of system, the relative size of these sectors may fluctuate over time. Within each of the first three sectors, businesses are constantly growing, changing and shifting, with new ones being born, existing units dying or losing their identity through mergers, restructuring, acquisitions, etc. Under capitalism, the private sector predominates; in practice this means concentration of considerable economic and political power in the hands of a small class that controls the major corporations and has a disproportionate influence on government. In command systems like that of the former Soviet Union, the public sector is dominant; in practice that meant the concentration of economic and political power in the hands of an elite that controlled the Party, the government, and the government-run economy. The cooperative commonwealth differs from the other two systems; within it the cooperative sector has the biggest size and influence. In theory, a peaceful transition to a cooperative commonwealth could be made from within a capitalist system by a gradual growth of the cooperative sector. Such a transition could have been even easier in former command socialist societies if privatization of state-owned enterprises were primarily based on their transformation into worker-owned, democratically controlled organizations. Figure 1. Economic Sectors in Capitalist, Command Socialist and Cooperative Economic Systems. Why are Worker Co-operatives desirable? The cooperative alternative differs from the other two models in important ways. Corporate capitalist systems attempt to maximize both managerial control and profits for wealthy stockholders. Command socialist economies plan from the top to produce socially needed goods and services, maintaining managerial and state control while channeling profits to the state. Worker-member control. Worker co-ops are controlled by their members who participate in decision making at all levels of the enterprise. Members have a say in what goods or services are provided, what quality, how and by whom, for what pay and at what prices. Sometimes the control is exercised through direct employee ownership of a major bloc of shares in the company. Worker-members vote on policy decisions, elect the organization's governing board, and have a major say on day to day shop floor or office decisions. Limits on wage and salary inequality. Worker co-ops generally adopt an egalitarian ethos. Some pay every member the same, while others limit the differential between the lowest and the highest paid to a maximum ratio such as 1:6. Labor hires capital. Like other businesses, worker co-ops borrow capital, and members invest money in the firm. But control goes with membership -- one member, one vote -- rather than with the size of any investment. Members share the profits. Profits belong to the worker-members, who may use them to expand their business, benefit themselves, or provide collective benefits such as education, day care, health care, or housing to the local community. Social concerns are balanced with the pursuit of profit. Worker co-ops try to balance the interest of their members with those of consumers and the community. This means providing high quality goods and services, conserving energy and protecting the environment, even at the cost of lower profits. Self reliance and local community development. A major goal of worker co-ops is to promote the general welfare of the local communities in which they are based. Like other businesses, worker co-ops produce for export. But there is often an emphasis on local production for local and regional consumption, buying from others in the community and the region. Job creation. Creating new jobs and saving existing ones is a priority. Worker co-ops try to maximize employment, maintaining jobs and creating new ones, while keeping productivity high and avoiding featherbedding and make-work. Satisfying work. Members' satisfaction with their work is important. Co-ops strive to empower their members and to create meaningful work with the best possible working conditions. Members share knowledge and teach each other new job skills. In addition, they often rotate onerous work. Democratic limits on managerial power. In cooperative enterprises, managers are ultimately accountable to the worker-members. Large co-ops often have a system of internal checks and balances to avoid abuses of power by managers. These may include rotating worker=members on the organization's governing board, setting up watchdog committees, and union representation to handle individual grievances and establish industry-wide wage levels. Limited size. Cooperative firms are usually small or medium size, though some contemporary co-ops have 500 or more members. There is a preference for small size because democratic participation is easiest in face to face groups and becomes more difficult in large organizations. An optimum upper size limit is probably somewhere near 200 - 250. Why democratically organized companies succeed or fail is a special case of the more general issue of the determinants of success and failure of enterprises in industrial and post industrial market economies. Various criteria have been used to gauge the success of capitalist companies, though the most important ones are probably the degree of profitability, continuing growth in the volume of sales, market share, and the persistence of the company over time. Which of these factors provides the best measure of success is an open question. If they are combined, what weights are to be assigned to each? What criteria should be used to measure the success of worker co-ops? Should we use the same criteria as for capitalist businesses? The answers are by no means obvious. Co-ops need to be profitable to stay in operation, but profit maximization is not their goal. The stability of cooperatives is important in that one of their goals is to expand the available number of jobs. Growth in size of individual co-ops, however, is not a major goal. In fact, some co-ops mandate splitting into separate units once they have grown to a certain size. For worker co-ops, success is measured by the retention of good jobs and the creation of new ones until all members of the community have jobs or income adequate to meet their needs. This goal may be furthered by the persistence of the co-op over time. What seems paramount is not the continuation of any particular co-op, but rather the health of the cooperative network as such and the maintenance of job opportunities within the cooperative system for all members of the community. To arrive at a preliminary list of determinants of success of cooperatives, we examine a number of case studies below. The Rochdale Weavers. Let us begin with an example dating back to the 19th century. The striking flannel weavers who formed a cooperative society in England in 1844 are best known for their role in initiating the modern consumer cooperative movement. The Rochdale Pioneers, as they called themselves, also founded a cooperative cotton mill that opened in 1854, with 100 workers putting up most of the capital. The cooperative vision of the Rochdale Pioneers was extremely broad. They planned common housing, production cooperatives, common land for agriculture, and a self governing cooperative commonwealth of members that was to coordinate production, distribution, education and government (Curl, 1980). The cooperative mill was so successful that the Pioneers decided to expand it. They built a new, larger mill in 1859. To obtain the necessary capital, they sold 1000 shares. Many were bought by outsiders, who soon held a majority of the shares. The interests of the outside shareholders and the mill workers were in conflict; within three years the shareholders transformed the business into a capitalist company. The Pacific Northwest Plywood Co-ops. Our next example is from the U.S. Pacific Northwest. The first lumber co-op was established in 1921 when a group of 125 workers invested $1,000 each to found Olympia Veneer (Zwerdling, 1980). Since then, about 30 cooperative plywood factories were established in Washington, Oregon and Northern California. All of the 18 plants in existence in 1974 had been operating for over 20 years, and one for 34 years. The output of the plywood co-ops accounted for about 12% of all U.S. production in 1974 (Berman, 1982). Most of the workers are owners, but these co-ops also hire non-members to do some of the work. Berman says conditions were mildly favorable for the industry during the years many co-ops were formed; the main impetus for new co-op startups, however, was the positive example of the first few to develop. The co-op workers were often much more productive than their counterparts in capitalist companies, which Berman attributes to their democratic organizational form. Co-op members worked harder, wasted less, and required less supervision than those working in capitalist mills. In some plywood co-ops all members were paid at the same rate. The co-ops were better able to survive under adverse conditions than other plywood firms, she says, because their members were willing to tighten their belts and accept temporary pay cuts or fewer hours during hard times. One third of the plywood cooperatives went out of business by the mid 1980's. Some were apparently casualties of the market; plywood manufacturers face problems related to the uncertainty of raw material supply and the instability of demand related to the seasonal and cyclic nature of the industry. Other co-ops were sold to outside buyers precisely because they were so successful. Berman terms this the "failure of success." Workers ready to retire discovered the value of their shares had jumped from an initial $1,000 - $2,000 to $25,000, $50,000 or even more; new young workers did not have the money to buy into the co-op, so retiring members found it easier to sell their shares to capitalist lumber companies that wanted to acquire their very profitable business. The Jamaican sugar worker co-ops. For another example, we turn to agricultural production cooperatives in Jamaica, where sugar workers obtained control of 23 cane farms during the 1970s (Frolander-Ulf and Lindenfeld, 1985). Like a number of other conversions of former capitalist enterprises to a cooperative form, the cane farms were an example of "lemon socialism." The three large sugar estates on which the farms were located had been owned by the United Fruit Company and a British sugar corporation, Tate & Lyle. When these transnational giants found that growing cane was no longer profitable, they willingly sold the land to the government. Meanwhile, activists from the Social Action Centre launched an organizing campaign to transform the farms to worker cooperatives. On each farm, the sugar workers elected management committees to supervise the professional managers. Second level co-ops were established to provide a unified voice for all the farms on each estate, and a central co-op in Kingston provided direction and voice for the entire system as well as educational services to members. The workers faced numerous obstacles. They controlled the cane farms, but the factories that processed their cane remained in government hands. The agricultural machinery and irrigation systems they inherited with the business have been allowed to deteriorate. The continuing struggle between the sugar workers and the professional managers was also a problem. The Jamaican sugar plantations reflected the old caste and class dating back to slavery days. The sugar workers got low pay for very hard work. Many of the older workers were barely literate. Often they were looked down upon by the managerial staff. The managers were holdovers from the earlier days of the transnationals; many were unresponsive to the cooperative idea, and some were hostile to it. Despite the formidable difficulties they encountered, a number of the farms were more efficient under cooperative management than they had been under government or transnational corporate control. What finally killed the co-ops, however, was government opposition. After the Seaga regime replaced Manley's party in office in 1980, it disbanded the cooperatives as part of a program of privatization. Ostensibly this was because the cooperatives were losing money. The real reason was that the co-ops were seen as socialistic and as a symbol of the opposition party, a symbol that had to be destroyed. Mondragon. Perhaps the most widely known contemporary worker co-ops are those in the Basque region of Spain, recently reorganized as the Mondragon Cooperative Corporation (MCC). The MCC has three divisions: industrial production, retail distribution, and financial services. Together, they provided jobs for 27,000 members by 1995. They are linked in a network that includes about 85 industrial co-ops, a cooperative bank (the Caja Laboral Popular) a social security system, a student cooperative, agricultural co-ops, housing and construction co-ops, and dozens of consumer co-op stores. A major strength of these cooperatives is that they are joined together in a functioning network. A key element of the network is the cooperative bank which provides financing as well as technical assistance to help the incubation of new co-ops. Other strengths include the common Basque nationality which helps promote solidarity, the emphasis of the Basque culture on the importance of savings, and the emphasis on education. There were only nine business failures within this network over a period of almost four decades (Ormaechea, 1993, p.101). The Mondragon co-ops solved the problem of lack of capital. They draw on private savings of the bank's 500,000 members. Also, member co-ops retain a reserve of 15 - 20% of profits; to this they add internal capital accounts in the name of each member, in which another 70% of the profits are held. This gives the co-ops access to 85 - 90% of all profits for reinvestment, until members cash in their internal capital accounts on retirement. (We must add here that by 1995 the bank had accumulated so much capital that it was able to invest only 10% of its funds in loans to affiliated cooperatives). The bank's entrepreneurial and planning division became a major force for local economic development. It was a proactive technical assistance organization that promoted the maximization of jobs rather than profits. The co-ops adopted a form of ownership that made it difficult for them to revert to private ownership. Instead of ownership based on individual shares, the cooperatives are owned by their working members as a whole. All members have one vote on key issues. Any decision to sell the co-op must be ratified by a two thirds vote. The O&O supermarkets in Philadelphia. With the help of the United Food and Commercial Workers Union, 6 worker-owned supermarkets opened in the Philadelphia area during the 1980s. The O&O (worker owned and operated) markets began after A&P closed most of its stores in the Delaware Valley and laid off 2,000 employees. The union bargained with A&P to reopen 50 markets as the Super Fresh chain in exchange for wage concessions. At the same time, the union secured an option for its members to buy two former A&P locations. These became the Parkwood Manor and Roslyn O&O Markets. Each employee invested $5,000 in the purchase, most of it borrowed from the employees' credit union (Lindenfeld, 1990). The union commissioned the technical assistance organization PACE of Philadelphia to provide education and training for the prospective worker owners. The O&O workers agreed to pay cuts, with the incentive that later their pay would increase and that as owners they would share in future profits. Encouraged by the results of the first two O&O stores, PACE helped add four markets to the network. The O&O markets flourished for several years, maintaining some 200 jobs that would otherwise have been lost. They demonstrated that worker control could lead to lower costs and since all participants were union members they showed that employee ownership and control is compatible with unionization. Nevertheless, by 1989 five of the markets had been sold or were closed, and only Parkwood Manor remained (Lindenfeld, 1990). They didn't have enough capital. In the retail food industry, competition is stiff, profit margins low, and modernization expensive. The O&O's did not have the capital to match the modernization efforts of competing corporate chains. Lack of a cash cushion prevented some of the markets from surviving business fluctuations and unanticipated expenses. Worker solidarity was weak. The workers at Roslyn and Parkwood Manor developed a "worker capitalist" outlook. They were unwilling to accept new employees as full owners because that would have diminished their share of profits. These stores developed a two tier system of more privileged full time worker owners, and less privileged part time employees who were not owners. The Directory of Workers' Enterprises (1991) lists 9 worker-owners and 28 non-owner workers at Parkwood Manor. Optimistic sales projections led some markets to hire more workers than could be supported y sales income. Capitalist corporations in such situations rarely hesitate to reduce labor costs, even if it means closing down units and laying off workers. Since a major purpose of worker co-ops is to create and maintain jobs, some O&O managers were reluctant to cut labor costs by laying off workers or reducing the hours each member worked. The O&O markets illustrate the vulnerability of small enterprises in a market economy dominated by big business whose survival may be more a function of their access to capital than business efficiency. Additionally, at least in the U.S., cultural values such as individualism and respect for wealth as transmitted through the mass media and the school systems tend to support capitalism; those socialized to capitalist values may be prejudiced against cooperative principles. This helps explain why some cooperators don't see any problem with having more privileged worker-owners and less privileged hired labor in the same organization. The merits and drawbacks of hiring non-member labor have led to longstanding debates within the kibbutz movement in Israel as well as in the Mondragon network. (On the latter, see Bowman and Stone, 1995). From the above examples, we may begin to piece together some of the external and internal factors that contribute to the success of failure of worker co-ops. Our analysis will be based on a synthesis of two theoretical paradigms that address the issue of survival of business organizations. The first is the population ecology model which argues that environmental factors cause organizations with appropriate characteristics to succeed and others to fail; we would extend this model to say that environmental factors are more compatible with certain organizational forms than other forms in a market economy. Forms more compatible with the environment survive, while others fail. This is a rehash of the old environmental determinism model recast to fit organizations rather than organisms. According to the population ecology model, organisms -- or organizations -- that have characteristics that are compatible with the environment survive, and others don't survive. That's why there are no more dinosaurs and very few family farms left. The second model, resource dependence, focuses on the dependence of organizations on their environment for the resources they need to sustain them. It argues that the organizations which survive are the ones that control their critical resources. That's why business organizations which are successful in capitalistic economies integrate vertically, backward and forward. By integrating backward they control their sources of supply, i.e. financing, raw materials, etc. By integrating forward, they control their distribution. So you have a U.S. company like Tyson's Chicken, which essentially started out in chicken processing. Later they integrated backward and acquired their own chicken farms. They could integrate forward with a fast food chain. The common denominator in these models is the environment. There are at least three relatively identifiable levels of the environment which business organizations -- traditional corporate forms or cooperatives -- must deal with. First is the mega-environment which consists of the technological, economic, legal-political, socio-cultural, physical, and international components. Second is the task environment, consisting of the customers or clients, banks and other sources of funds, competitors, suppliers, labor supply, and governmental agencies. Third is the internal environment of the firm, its organizational structure and culture. All three of these levels influence the likelihood that an organization will be able to survive over time. Mega-environment. (a) Technological component. Scientists and engineers are evolving new products and new processes which the firm/co-op must keep on top of in order to be competitive. Many large firms, including the Mondragon Cooperative Corporation, develop their own research and development section to facilitate this. Some of the new technologies boost productivity and profitability, but displace workers. So how do organizations respond to this force in the environment? If you are an IBM or a General Motors you downsize, laying off production, technical and managerial employees even while increasing the compensation of top corporate officials. If you are a worker cooperative you may die, especially if you can't afford to keep up with the latest (and costly) technological advances. Or, if you are part of a dynamic network with access to adequate resource, you may incorporate the new technology while another part of the network takes care of retraining redundant workers and finding jobs for them in other co-ops. Part of the technological mega-environment is the growing availability of microchips, computers, automation and robots in contemporary post-industrial societies. This has been accompanied by massive deindustrialization, as manufacturing and office tasks are taken over by automated machines or moved to low wage areas, and by a shift of the workforce into various types of service occupations. (b) Economic component. Economies change dynamically over time. We can view an economy as a set of changing and shifting organizations. Some are growing, some downsizing and developing outsourcing relationships with smaller satellite firms. New firms are born, old ones merge, split into smaller pieces, or die. The changes result from the integration of market factors, technological innovation, managerial and worker initiatives, changing economic regulations, changes in the political climate and tax laws, etc. Broad sweeping changes in the environment like inflation, recession, etc. influence the availability of capital, pricing structure for your products to be competitive, etc. So if the organization does not have the capacity to weather the economic ups and downs, provided by a large enough cash cushion, it will go out of business. Another aspect of the economic component is the general nature of the overall economy -- what is the size of the cooperative sector relative to the public and private sectors? To what extent to a few large firms dominate various parts of the economy, and to what extent is there a market with many competing small units? (c) Political legal environment. The organization has to be able to deal with whatever governmental regulatory apparatus is in place, as well as to anticipate regulatory policies that may be coming down the pike. Some of the regulation could be favorable, especially if the organization is a capitalist corporation. If it is a cooperative, favorable regulatory policies are unlikely, because co-ops are structured around a different value system. Besides, the dominant capitalist classes control the political legal system, so it is likely that much of the policy will protect their interests, especially their business interests. The importance of government support for cooperatives can be seen in the example of the Jamaican sugar worker cooperatives. Their demise was precipitated by a political decision. Since at least some of the co-ops did better than under previous capitalist control, the decision reflected the new government's ideological animosity against cooperatives as much as anything else. One factor that has great impact on domestic industry is the existence of tariff barriers that add to the prices of foreign products and stimulate domestic production. Conversely, removing trade barriers as with NAFTA may accelerate capital flight and deindustrialization in high wage areas like the U.S. In view of the impending ecological crisis, it is likely that some future regulations will be favorable to organizations like worker co-ops that promote the conservation of energy and preservation of the physical environment. They will also be high on the learning curve which would give them and advantage over traditional businesses that are not oriented toward environmental stewardship. (d) Socio-cultural environment. The productive activity of any firm must be response to changes in demographics, values, norms, and expectations. One of the changes on the horizon is the introduction of the four day work week, shorter hours and longer paid vacations for those with secure jobs. Already in Germany the average worker receives 6 weeks of paid vacation plus about 10 paid holidays. With an increase in the level of minimum wages and average wages, more workers will be willing to trade leisure time for a slight reduction in pay. Another significant aspect of the task environment for worker cooperatives is the extent to which they are integrated into networks and federations that provide access to capital and other resources, technical assistance, and mutual aid. The existence of second level co-ops that provide entrepreneurial, educational, financial and other services to member co-ops appears to be one of the most crucial factors that contributes to their causes. The Caja Laboral Popular has been central to the development of the Mondragon network. The Caja serves as a bank depository and provides credit to its members. It also lends money to help start up new cooperatives, and provides technical assistance including comprehensive feasibility studies to assist them through their incubation phase. Access to credit is important. Because the Mondragon system includes a cooperative bank, its member organizations have not had any major problem with this. For other co-ops, however, lack of access to credit has posed severe difficulties. Contributing to the demise of some of the O&O markets, for example, was a change instituted by their wholesaler that suddenly tightened their terms of credit. The financial problems of cooperatives in capitalist systems reflect the fact that they don't have the same access to loans as capitalist companies. Many banks don't know about worker co-ops or don't like them, so they may be prejudiced against lending to them. The condition of the business assets also influences the prospects of success in worker buyouts. Sometimes, as in the case of the Jamaican sugar worker co-ops, we find lemon socialism; workers are only allowed to run businesses their previous owners have found unprofitable and have milked dry by running down machinery, etc. Similarly, some U.S. industrial co-ops are buyouts of businesses that had been struggling to stay afloat despite adverse market conditions. These conditions may prevent business recovery even with the greater efficiency and productivity usually found in worker co-ops. Only some of the worker buyouts to avert plant shutdowns over the last decade have succeeded; often, where workers have been able to buy out the previous owners using employee stock ownership plans, they have often remained profitable. According to the Northeast Ohio Employee Ownership Center (19943) such buyouts are worth the effort; over the last decade, they saved between 4,000 - 5,000 jobs in Ohio that otherwise would have been lost. Organizational structure and other internal factors also contribute to co-op survival. The "failure of success." Co-ops may fail by transformation into capitalist businesses. Co-ops that utilize the capitalist stock model and want to expand, or whose retiring workers want to cash out their shares, are vulnerable to being bought out by outside investors. The problems are caused by linking control of the enterprise to ownership of stock. The obvious remedy, Ellerman (1990) reminds us, is to link control to membership in the organization, and to set up internal capital accounts for each worker as in the Mondragon model. The main feature of these accounts is that they divide the membership aspect of cooperatives from the financial aspect. Each worker has one vote on issues affecting the company, such as electing the governing board. But each worker also has a separate internal capital account that reflects his or her initial cash investment and accrued interest, plus dividends voted over the years by the co-op, minus the workers' proportionate share of any business losses. Size. Successful business growth and expansion that accompany rising demand for a co-op's goods or services may also pose a threat to the cooperative form. The bigger the organization, the more difficult for it to function democratically and to deal with worker grievances. At Mondragon, the only strike erupted at the largest factory, ULGOR, with several thousand worker-members. Some leaders of that network now believe size is best limited to 500 members. Management quality. Co-ops may fail because of poor management. Excessive costs, inadequate marketing, lack of attention to customers, etc. are bad for any business. Securing technically competent management is necessary for co-ops, but is not in itself sufficient for their needs. Co-ops need managers who support cooperative principles and are comfortable working within democratic structures. Such managers must be familiar with democratic process, be willing to share information, to train understudies, and to delegate authority. Finding such managers, or re-educating those recruited from capitalist organizations, is a difficult challenge. This was one of the weaknesses of the Jamaican sugar worker co-ops who had to select their managers from among those who had worked under the previous corporate system. Capitalization. Under-capitalization is a critical problem for many co-ops and small businesses. In capitalist societies, ordinary workers often have only meager savings they can invest in a business, so many co-ops begin with inadequate capital. Co-ops like the O&O markets may fail because they don't have enough of a cash cushion to ride out temporary reductions in income caused by market fluctuations or minor losses attributable to management mistakes. Or, lack of capital may make it difficult to purchase the most modern equipment that would produce economies of scale and allow the co-op to be competitive. Access to venture capital through an affiliated bank such as Mondragon's Caja Laboral Popular, or through some other community development financial institution, can make a positive difference for co-op survival. Solidarity. Co-ops need to develop in their members a sense of solidarity and mutual aid. This may be supplied by ethnic or national identification as among the Basques in Mondragon, or perhaps by identification with the cooperative movement; in any case, co-ops need to have some social basis for solidarity. An organization whose members' core values place individual interests over group interests and has no legitimate source of identity has no foundation on which to build the kind of relationships fundamental to the culture of a cooperative organization. Solidarity can also be strengthened through the cooperative structure itself resulting from democratic control by the membership (one member one vote), equality of pay, etc. Such solidarity is undermined by the introduction of a two tier system with regular co-op members who are full citizens with a say in organizational decisions, and hired workers without a say, added as part timers or temporary workers to accommodate fluctuations in demand. Such a divisive two class system which appeared in some of the O&O markets, for example, reintroduces capitalist exploitation in another form. * Worker education. Cooperatives need a continuing program of internal education to familiarize their members with democratic processes and procedures and to introduce new members to the cooperative ethos. Moreover, many workers may hold fundamental values incompatible with cooperative goals. To remain healthy and to counter the effect of exposure to the prevailing pro-capitalist ethos, co-ops must reorient members to cooperative values. Cooperative education is absolutely crucial. Often co-op members who have been exposed to heavy pro-capitalist propaganda may hold values (such as money worship and the pursuit of individual accumulation) which mitigates against the values of equity espoused by worker co-ops. 1. The subsistence sector refers to locally based private productive activities outside of the market: families growing their own food, building or repairing their own homes, or helping friends and neighbors repair their machinery, etc. Some subsistence activities such as barter networks and locally traded currencies could also be considered part of the cooperative sector. 2. Democratic participation is the most feasible within groups of up to 12-15 members; in an organization with 15 work groups, each with 15 members, the work groups cold each elect one delegate to a 15 member Board of Directors. 3. Use of modern equipment often cuts the need for labor. Cooperastive networks that modernize may help to find alternative employment in another co-op for those displaced by new technologies. "Are Buyouts to Avert Shutdown Worth the Effort?" 1994. Owners at Work, 6(1), Summer. Kent, OH: Northeast Ohio Employee Ownership Center, Kent State University. "The Worker-owned Plywood Cooperatives," in F. Lindenfeld and J. Rothschild-Whitt (eds) Workplace Democracy and Social Change. Boston: Porter Sargent. Bowman, E. A., and B. Stone. 1995. "Worker Ownership on the Mondragon Model: Prospects for Global Workplace Democracy," in J.K. Schwartz (ed) Beyond Communism and Capitalism: the Role of Markets in a New Socialism. Atlantic Highlands, NJ: Humanities Press. History of Work Cooperation in America. Berkeley: Homeward Press. Directory of Workers' Enterprises in North America. Cambridge, MA: The ICA Group. The Democratic Worker Owned Firm: a New Model for East and West. Boston: Unwin Hyman. Frolander-Ulf, M. and F. Lindenfeld. 1985. A New Earth: The Jamaican Sugar Workers' Cooperatives, 1975 - 1981. Lanham, MD: University Press of America. Gutierrez-Johnson, A and W. F. Whyte. 1982. "The Mondragon System of Worker Production Cooperatives," in F. Lindenfeld and J .Rothschild-Whitt (eds) Workplace Democracy and Social Change. Boston: Porter Sargent. Hannan, M. T. and J. Freema. 1977. "The Population Ecology of Organizations." American Journal of Sociology, 82 (5). "The O&O Supermarkets: Achievements and Lessons," in L. Krimerman and F. Lindenfeld (eds) When Workers Decide: Workplace Democracy Takes Root in North America. Philadelphia: New Society Publishers. The Mondragon Cooperative Experience. Mondragon, Spain: Mondragon Corporacion Cooperativa. Pfeffer, J. and G. R. Salancik. 1978. The External Control of Organizations: A Resource Dependence Perspective. New York: Harper & Row. Ulrich, D. and J. B. Barney. 1984. "Perspectives in Organizations: Resource Dependence, Efficiency and Population." Academy of Management Review, 9(3). Whyte, W. F. and K. K. Whyte. 1988. Making Mondragon: The Growth and Dynamics of the worker Cooperative Complex. Ithaca, NY: ILR Press. Workplace Democracy. New York: Harper & Row.